This week Hoang Hiep Vu takes us to opulent Versailles for a look at the Flora Fountain and Arnaud Poirier takes us to Mougau-Bihan to tell us about a Neolithic burial monument. Hi, I am Hoang Hiep VU, a software developer in Paris, France. I began working with photogrammetry since 2008. At this time, photogrammetry (or multi-view stereo reconstruction) had been studied and developed for decades but it still stayed in academic area. For the last ten years, this field has been flourishing, many industrial solutions have been created to reconstruct bigger and more accurate 3D models. 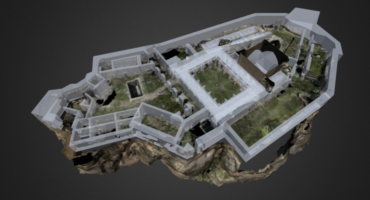 In 2014, I joined Acute3D, a start-up specialized in photogrammetry based in Paris, which was purchased later by Bentley Systems. I always love taking photos to create beautiful 3D models. Isn’t it amazing to contemplate truthful 3D statues, buildings, or even cities from different angles? To recreate 3D models, I use my company’s software, ContextCapture (previously known as Smart3DCapture) – it is very powerful and it is free for me ;). I also can use these photos as test cases. We need to make sure the software works with various cases. In my opinion, the most important thing of photogrammetry is the input: images. No matter what software is used, it is hard to produce a sharp 3D model from blurry photos. The software can improve day by day, but not your out of focus photos taken yesterday. I don’t have a tripod, so I shoot photos with at most 1/120s to have sharp photos – even if I may sacrifice the lighting. To have the best quality, I use prime lenses with my camera Sony A6000: a Sigma 19mm and a Sigma 60mm. Prime lenses are generally better than zoom ones. A 3D detail is created only if it is seen by at least 2 cameras from 2 different viewpoints, more is better. Generally, to capture a statue in 360 degree, I take 60-90 photos equally around even sometime 30 are enough. With a lot of taken photos, I can also delete several bad quality photos later. The model “Flora fountain” is in the garden of Versailles Palace, France. I took these photos while going out with my wife. The light was uniform with cloudy weather, the condition was perfect for shooting this model with a Sigma 60mm. It took me quite some time to capture many beautiful spots in Paris region, but it is more and more difficult to find something interesting now. I hope I can travel more to satisfy my hobby of photogrammetry! To see more of Hoang Hiep Vu’s models here on Sketchfab, check out his profile. Hi, we’re Arpanum and we are located in Caen, Normandy, France. Arpanum is a video production and photography business that specializes in aerial virtual tours. We started 3D photography with our job, as archaeologists. On archaeological sites, we take many pictures for each structure we dig, and once we tried to make a 3D view, in Vieux-la-Romaine (Calvados) with this grave and this lime kiln. Results were convincing so we decided to continue to work with 3D. We started making 3D models as an “extra” but now would like to make them professionally, above all to make 3D object views for archaeologists and museums. 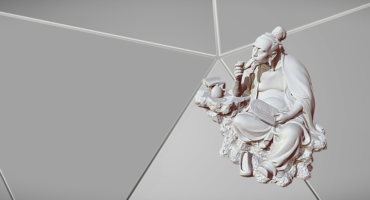 A few years ago we made our first tests with 123D catch, and now work with PhotoScan, Visual SFM and Blender. We are now fully-equipped: we have drones on which we put a Sony Alpha 7 or Canon S100 with a built-in GPS for archaeological or building sites. We are working with a topographer (and total station) for GPS landmarks, and also have a Canon 5D mark II for objects. For the “allée couverte de Mougau-Bihan” 3D model, I was with family in Brittany, and already had the idea to digitize this covered path, because of this challenge to digitize both exterior AND interior view. So one day, I decided to try, took around 300 pictures and was very happy to succeed! The covered path of Mougau-Bihan is a Neolithic burial monument (3000 BC) located in the village of Commana, Brittany, France. The main chamber is 14 metres in length and oriented north to south, with its entrance at the northern end. The southern end has an extra small chamber, the “cella”, the two parts being divided by a “chevet” stone (separating each chamber). “The best thing about this monument is all the ornamental engravings on the internal faces of the stones. About half of the side slabs have engravings on them which are fairly clear to make out. Most of these engravings are what are called “palettes”, some stones having several of these of various designs next to each other. 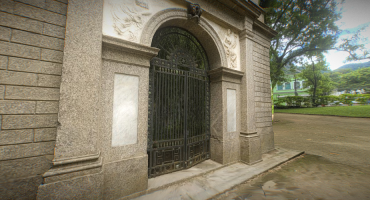 To see more of Arpanum’s models here on Sketchfab, check out their profile.